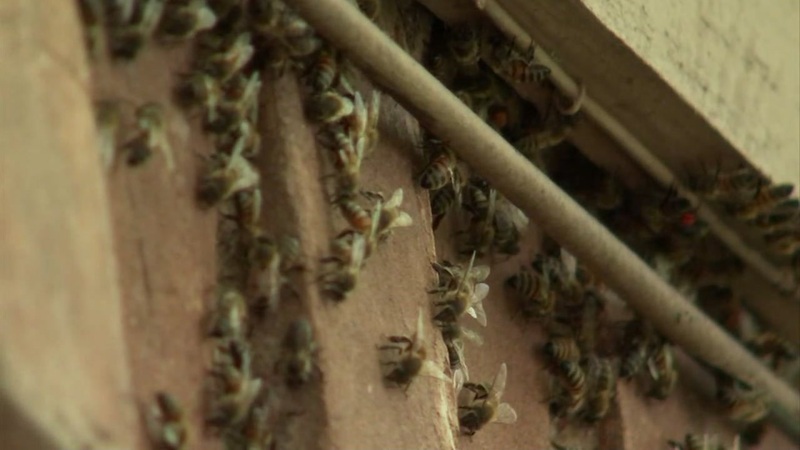 At least 60,000 bees have taken over an elderly man's home in east Houston, exterminators say. HOUSTON (KTRK) -- Bees forced an elderly man out of his home on Houston's east side. Charles Williams is 84 years old. He told Eyewitness News he moved out three months ago because of the problem. At times, he slept in his car. "The bees started taking over," laughed Williams. "The bees started taking over. That was it. I had to move out. What else can you do? Stay and get stung or leave and be happy?" Gotcha Pest Control fortunately stepped in to help. Claude Griffin said Williams was dealing with 60,000 bees living in the wood frame of the house. Company working to remove bees from a West Houston home. The Allyn family says they had no idea someone would reach out to help them so quickly. But their problem really pricked some hearts. Griffin said there is still more work to be done. He feared there is also a wasp problem. Griffin said he's optimistic someone will step up to make sure Williams returns home by the New Year.